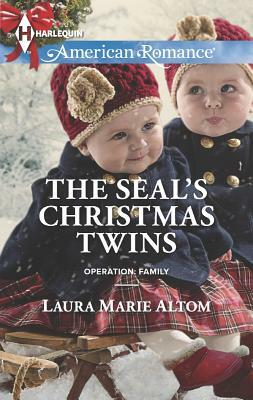 Navy SEAL Mason Brown left Conifer, Alaska, and his broken marriage behind long ago. Until one call changed everything. His ex-wife has died in a tragic accident, and given custody of her twin baby girls to Mason and her sister Hattie. Hattie Beaumont always dreamed of having a family -- and Mason -- but never like this. Now those old longings seem like betrayal, especially since playing house with Mason comes naturally. She can tell he feels it, too, so why is he determined to leave? Mason knows Hattie and the girls are the greatest Christmas gift he'll ever get. But even though he's risked his life countless times, risking his heart again feels so much more dangerous.